Home Phones BlackBerry The Red BlackBerry R10 posses for a clear shot. So last month we reported about BlackBerry carrying a plan to release an entry-level BB10 device. Well seems this is it. This fresh picture has been around the internet as the new BlackBerry R10. It sports a beautiful red, albeit plastic body. 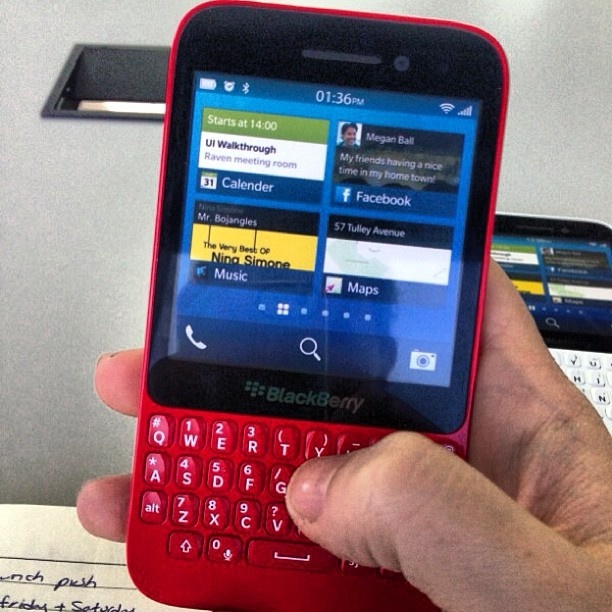 If it turns to reality , it would be the second QWERTY BlackBerry 10 device. There is not much information on the hardware powering the device , what we can draw from the shot is that it would come across as the Curve of the BB10 line of devices with less premium hardware. Unconfirmed IT Engineer, confirmed Autobot ally. Electronics take up majority of time, reviewing , owning , cracking up and programming devices is a passion. Open source supporter , android lover . News: BlackBerry reveals a Dev Alpha C with a physical keyboard. News: BlackBerry 10 wont need any special data plans like the previous BB devices.